ThirdLove: Go to Thirdlove.com/doubleshift for 15% off your first purchase of a perfect-fitting bra. For 15% of your first purchase of a perfect fitting bra, go to thirdlove.com/doubleshift. For $75 off your first order of a Molekule air filter, visit Molekule.com and at checkout enter DOUBLESHIFT. Catch a brand-new PAW Patrol on March 15th on Nickelodeon at 12/11c, followed by Top Wing at 12:30. Nydia Sanchez runs one of Las Vegas' only overnight, 24-hour child care centers, serving 108 kids. Many of her clients are single moms who work in casinos, and as waitresses, nurses and dancers. We visit to find out how Nydia keeps her business affordable and serves a group of moms that many bosses, politicians, and other daycare owners just don’t think about. Simple Health, online birth control prescriptions with free home delivery. Get the $20 prescription fee waived by going to simplehealth.com/doubleshift or entering code doubleshift at checkout. LOLA organic cotton tampons, pads, liners and all-natural cleansing wipes, delivered. For 40% off all subscriptions, visit mylola.com and enter DOUBLESHIFT when you subscribe. For over 10 years, Louisa Rachel Solomon has been the frontwoman for the rock band, The Shondes. She hasn't let pregnancy or parenthood slow her down. But she's now staring down a big existential question: How do you continue to have a creative and fulfilling professional life after you have a kid? 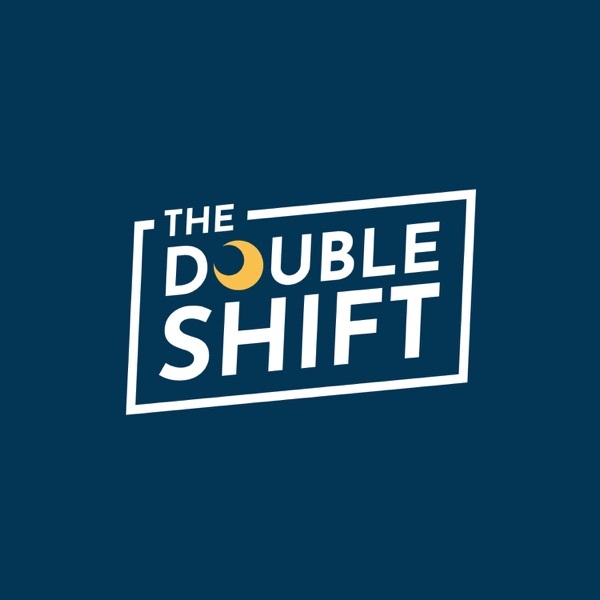 Welcome to The Double Shift, the show about women who are challenging how society sees mothers and how we see ourselves.